Dedicated to the vital issues affecting the region’s aircraft maintenance, repair and overhaul (MRO) industry – and now in its 14th year – MRO Russia & CIS 2019 has steadily gained global recognition as the only meaningful event of its kind and scale in the former USSR. Focused entirely on covering the crucial issues of the fast-developing and restructuring MRO services for the region’s air transport industry, MRO Russia & CIS is the largest industry conference and exhibition in eastern Europe and central Asia and, with the numbers of participants from China and south-east Asia steadily growing, the event now covers the entire Eurasian continent. This year, the event will attract more than 1,200 attendees, including some 300 airline representatives from Russia and the CIS, and its corresponding tradeshow will host 80 exhibitors from 25 countries. The high levels of attendance are attributable to the alluring prospects offered by the Russian and CIS markets despite the presence of many economic and political challenges. In 10 years – spanning 2009 up to the end of 2018 – the number of passengers collectively carried annually by Russian airlines has grown by a factor of two and a half, according to recent data collected by Rosaviatsiya, the country’s aviation authority. Continuing this positive growth trend, the combined total number of passengers carried by all of Russia’s airlines last year reached a record 116.1 million, up by 10.5 per cent on 2017. By comparison, in 2009, the annual total was 45.1 million passengers. Reflecting on these projections, Russia’s airlines are likely to continue bringing in additional capacities, thus creating an abundance of new opportunities for the region’s MRO industry. The conference brings together Russian & CIS airline technical and engineering management with local and international MRO providers, components suppliers, aircraft manufacturers, OEMs and media – all of whom will freely discuss and exchange views on the pivotal issues and challenges affecting the MRO market in the region. Attending the 2019 MRO Russia & CIS event provides a rare and unique opportunity to discover new markets, establish promising contacts and take up key positions in the region’s high development potential. 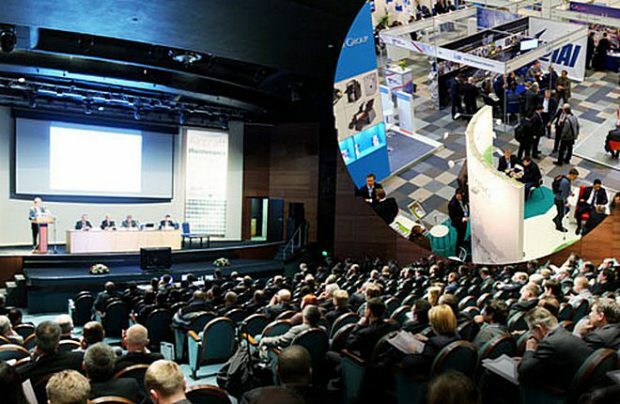 The MRO Russia & CIS 2019 international conference and exhibition is being held on March 5-6, 2019 at the World Trade Centre in Moscow. Sponsors: Lufthansa Technik, S7 Technics. Sponsorship support: Boeing, TP Aerospace, Satair.